It is a pity that this photograph has faded because it would have revealed a rural scene in marked contrast with that of the present day. It shows the Lower Shoreham Road, or Kingsway as we now know it, just where Wharf Road leads off to Aldrington Basin. 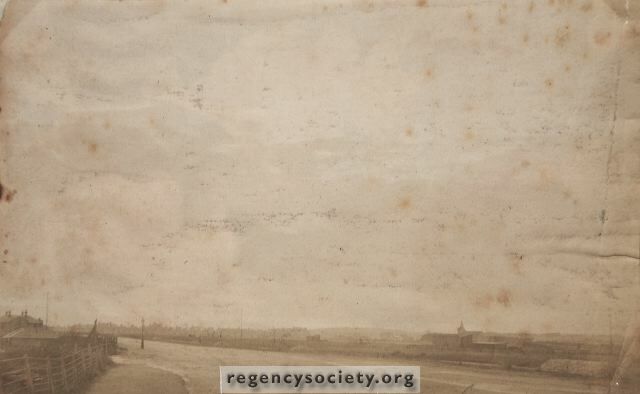 On the left can be seen the old Adur Inn, of which a large photograph appears on another page. Wish Meadow and small market gardens then separated Shoreham Road and New Church Road. Date of photograph – 27 June 1893.